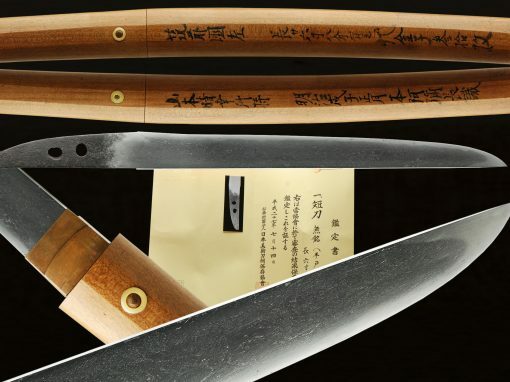 This exceptionally long Yokoyama blade was forged by Sukemitsu and is very well made. 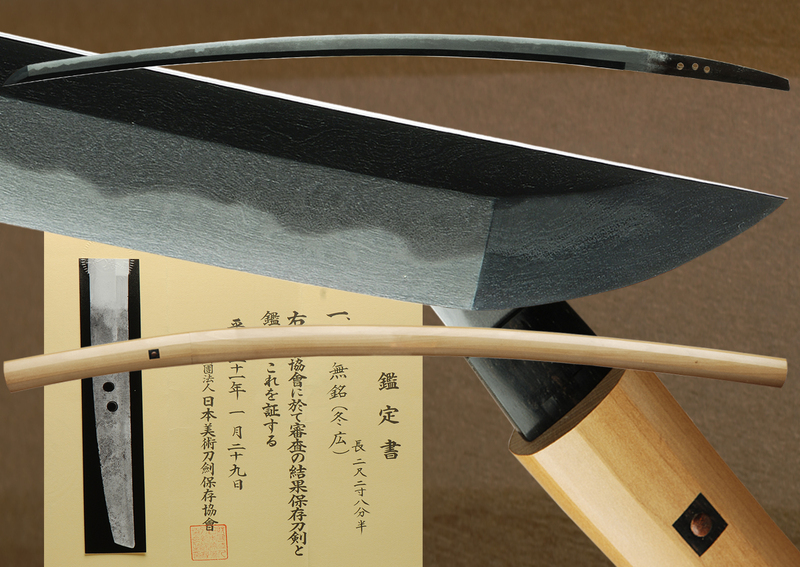 The hamon is abundant with Hataraki/activaty and is beautiful as can be seen in the photo’s. 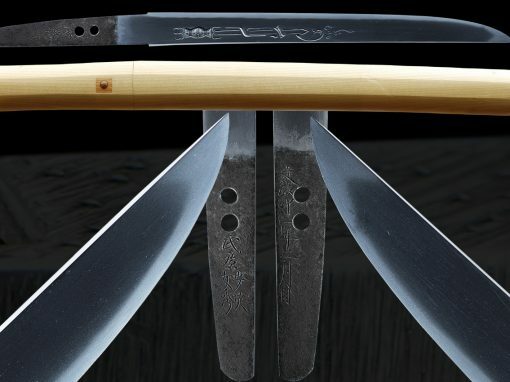 Its nie based gunome midare mixed with ashi. 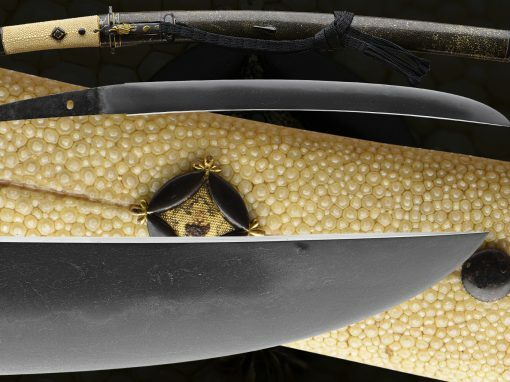 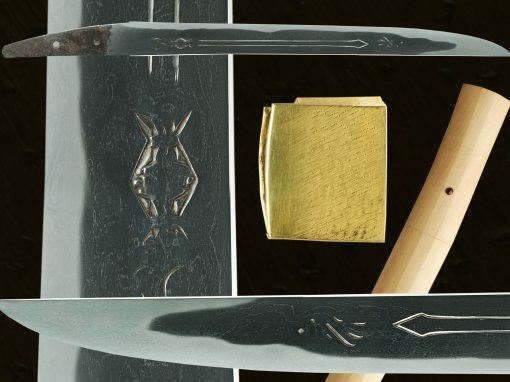 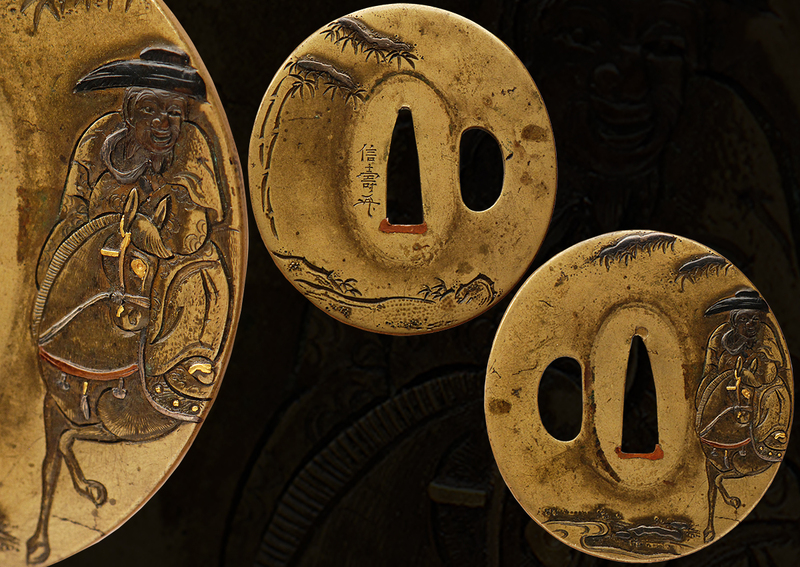 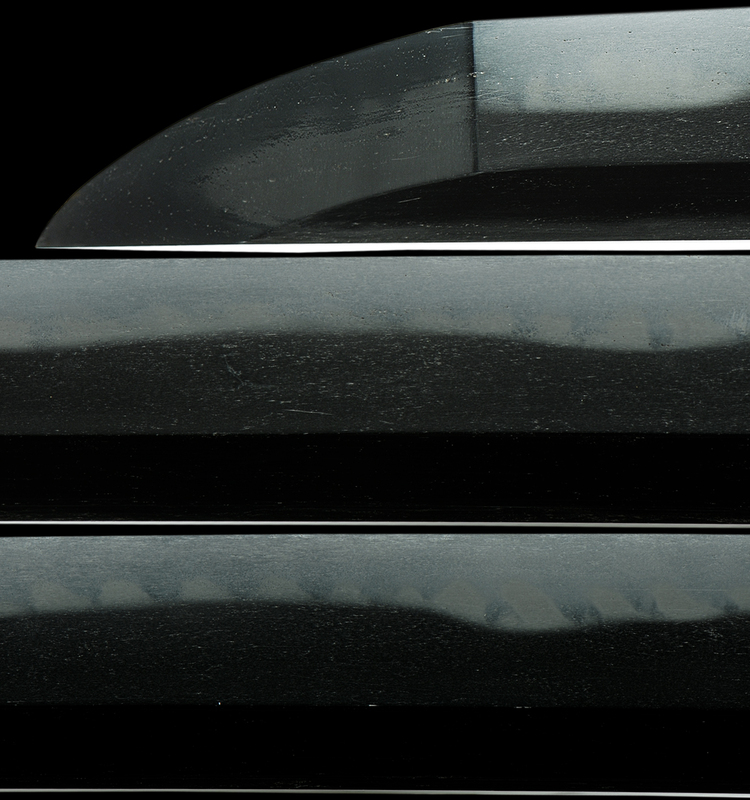 There is active streaks of sunagashi and kinsuji throughout the blade. 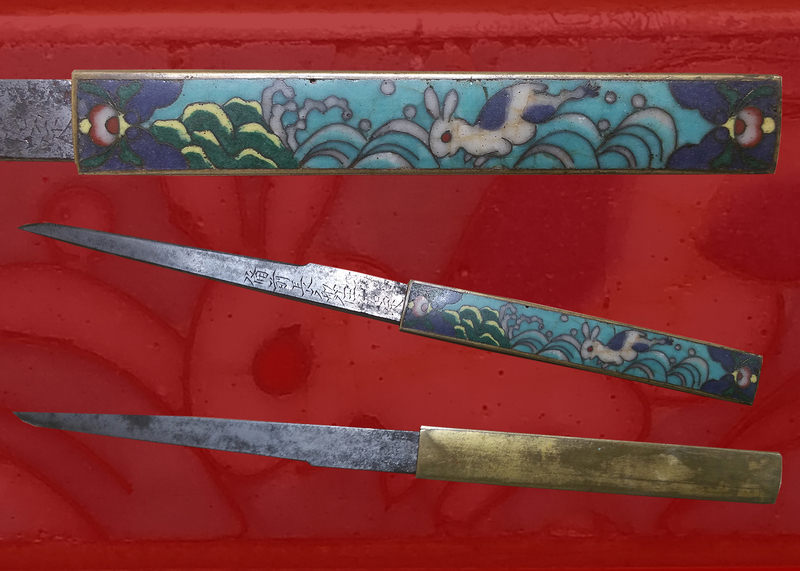 It also has very nice mune yaki. 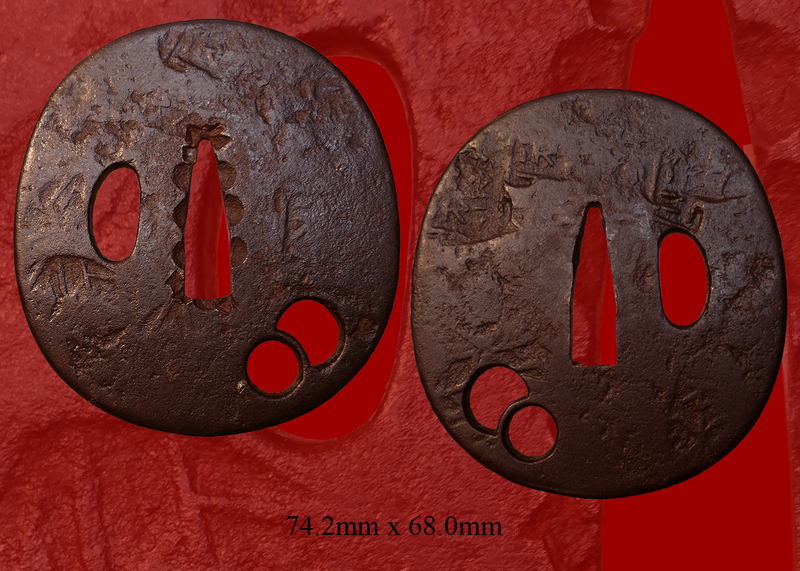 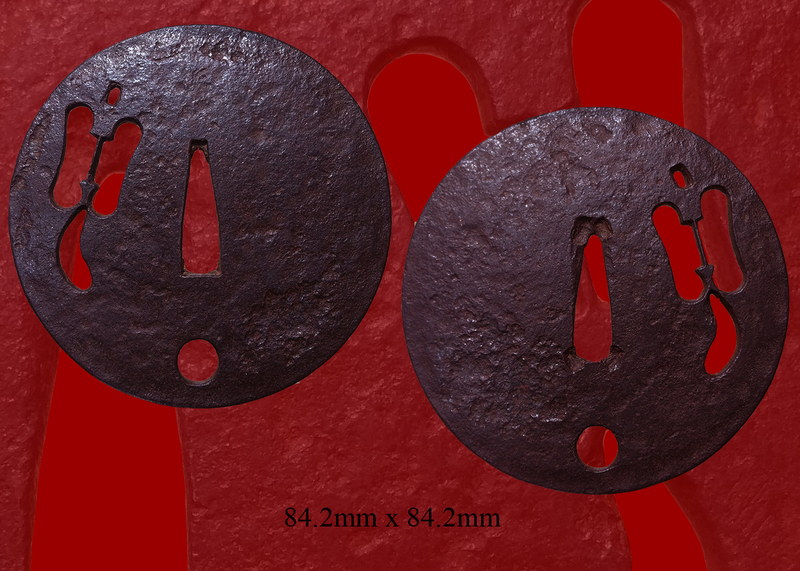 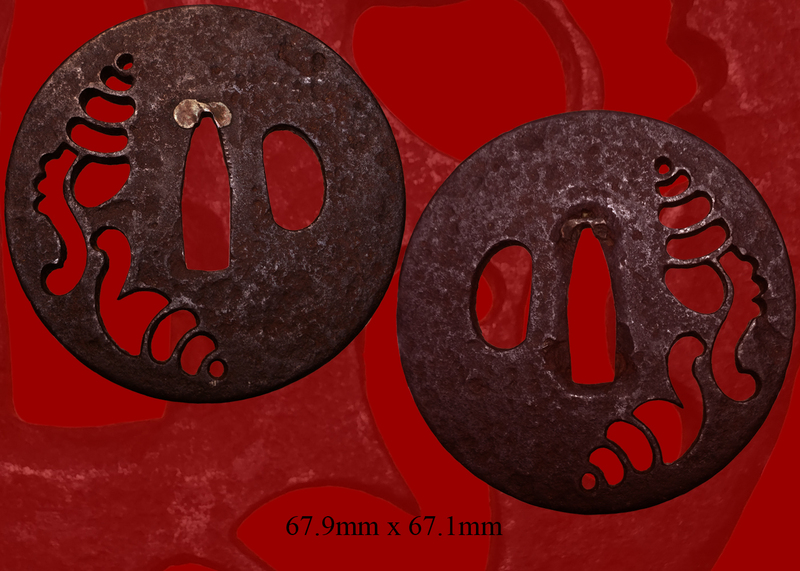 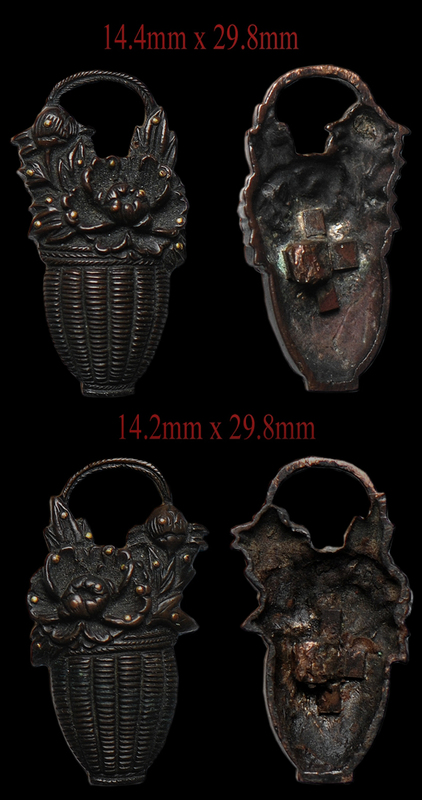 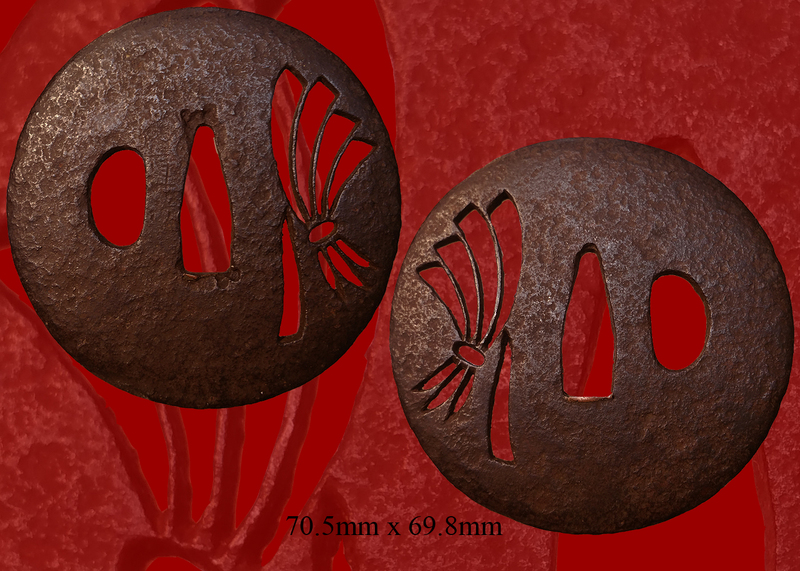 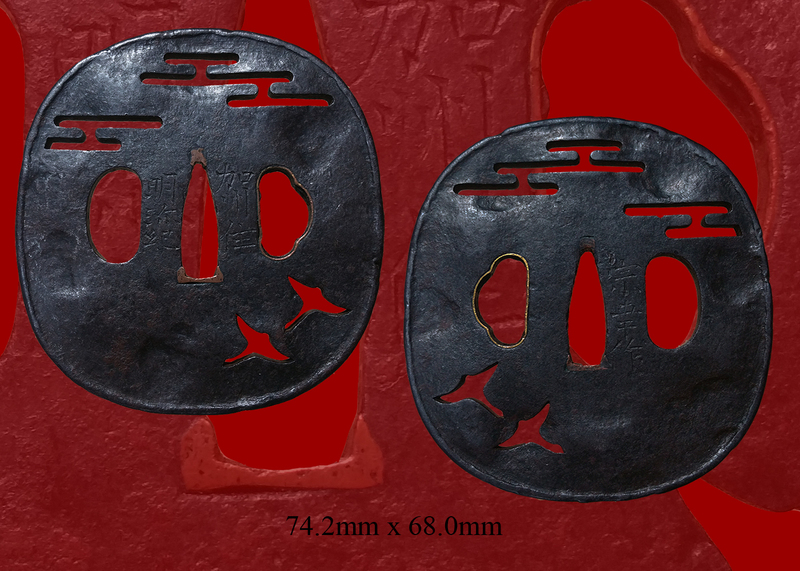 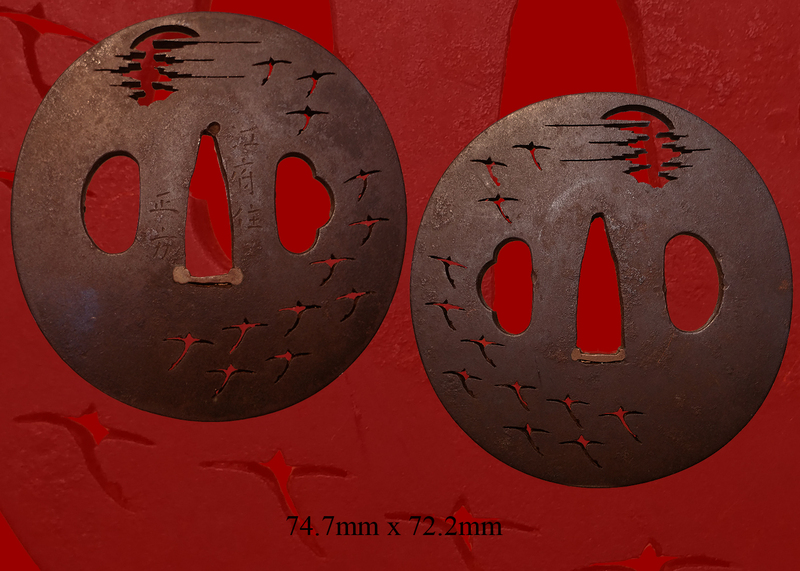 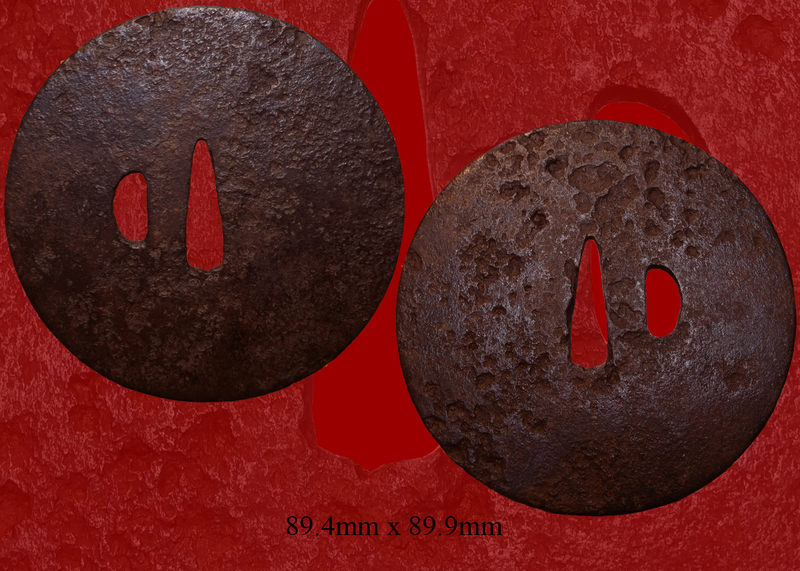 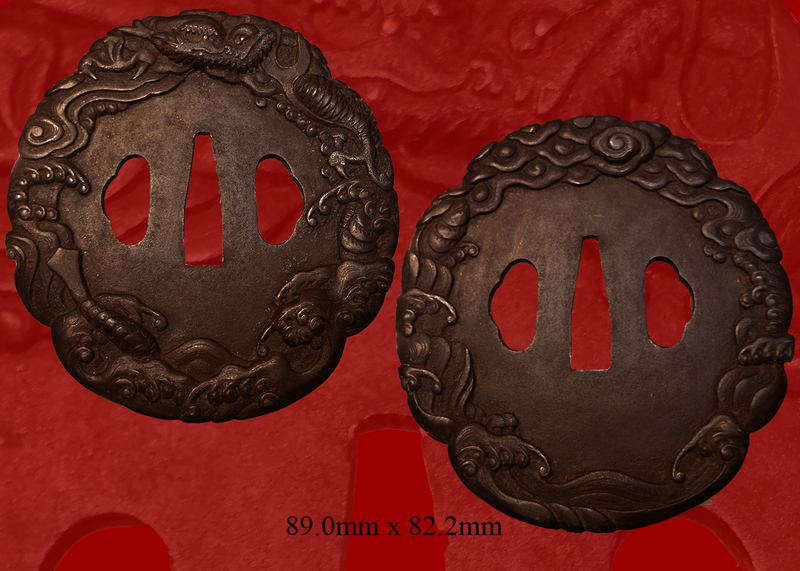 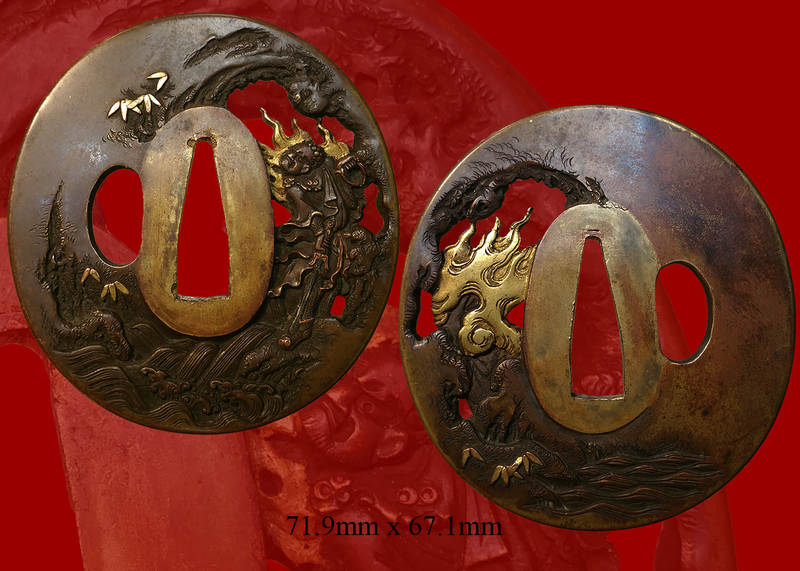 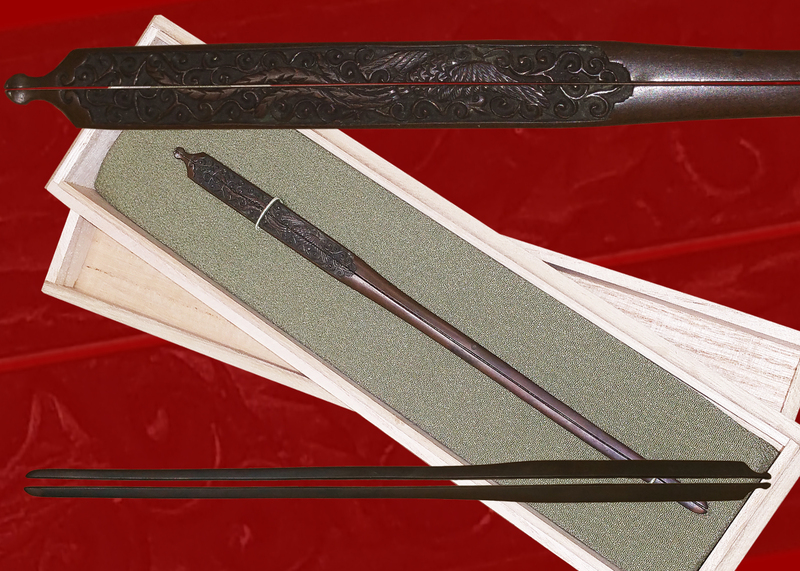 The hada is tightly forged in itame and has a rich appearance with much jinie. 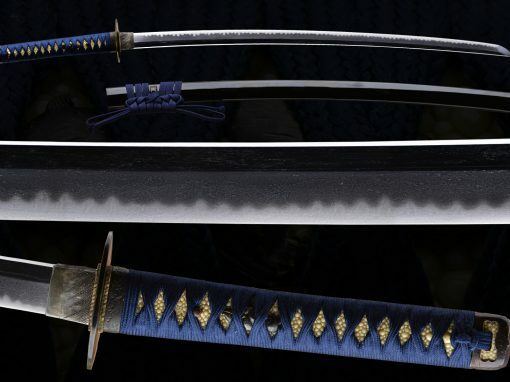 The shape of the sword is very elegant and well balanced. 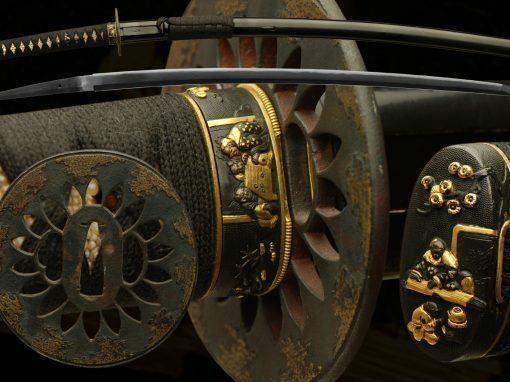 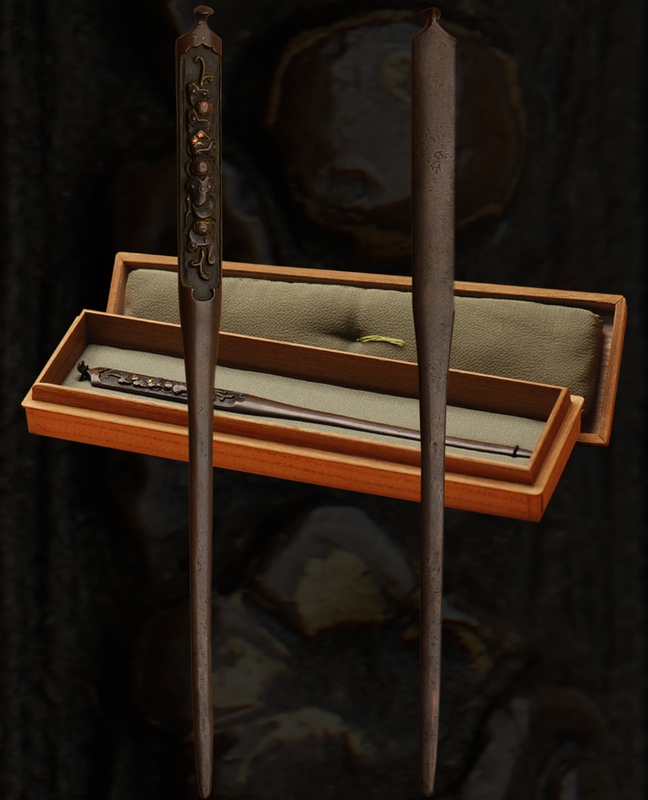 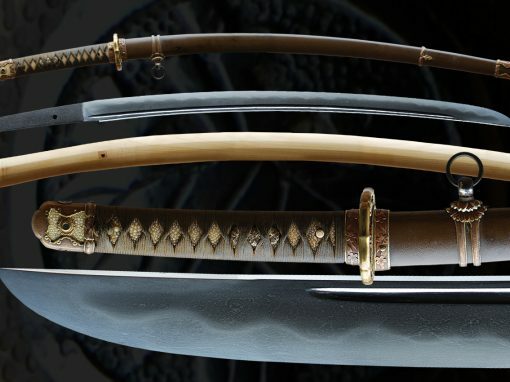 The Yokohama swordsmiths were very famous and respected for there work. 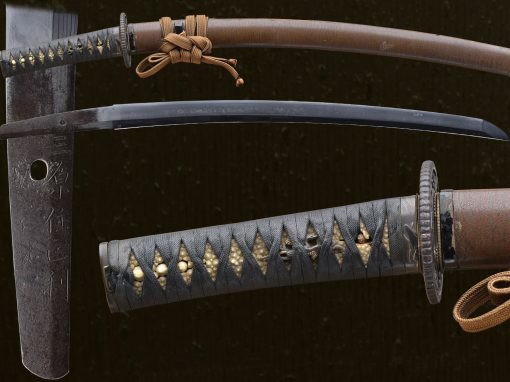 This fine sword comes with original mounts that are of very good quality. 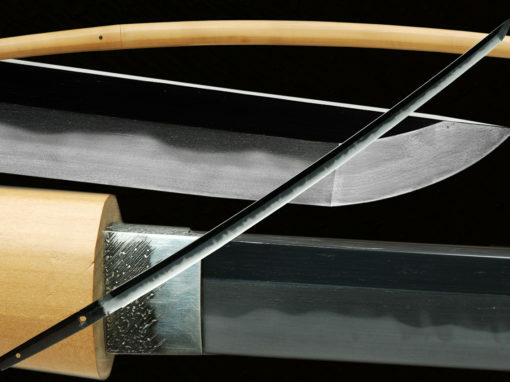 The scabbard/saya is very sound and has no damages. 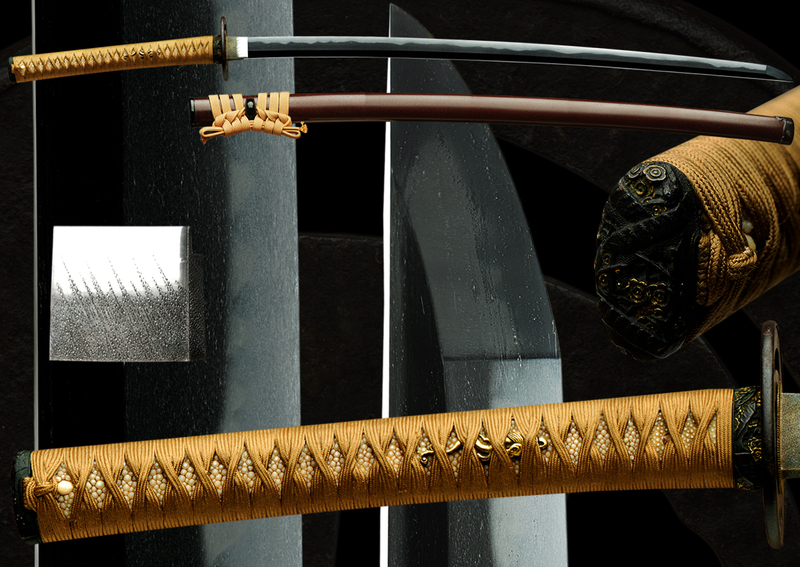 The overall look of the mounts adds greatly to this swords value. 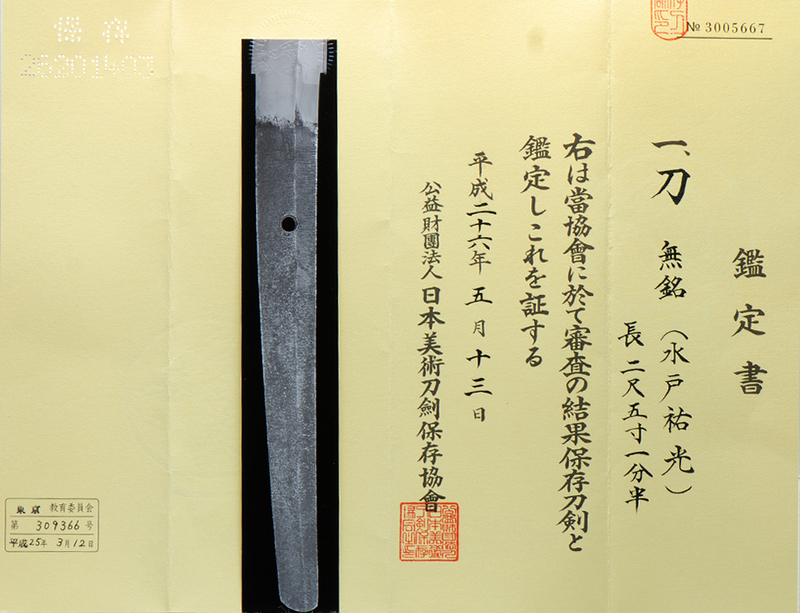 Papered by the NBTHK attesting to the smith, age and quality of this blade. 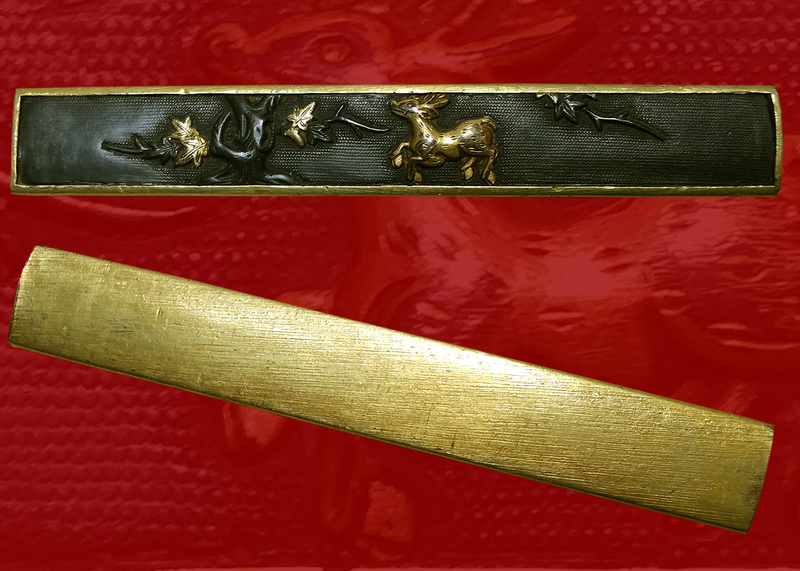 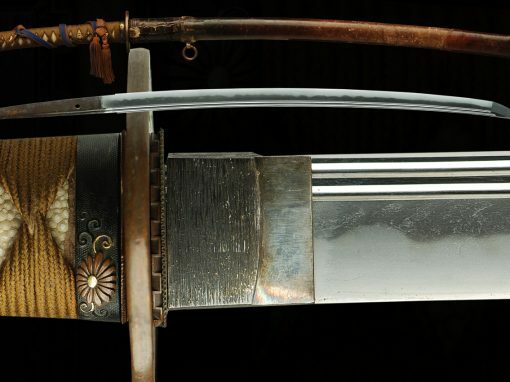 A complete sword mounted, polished and papered. 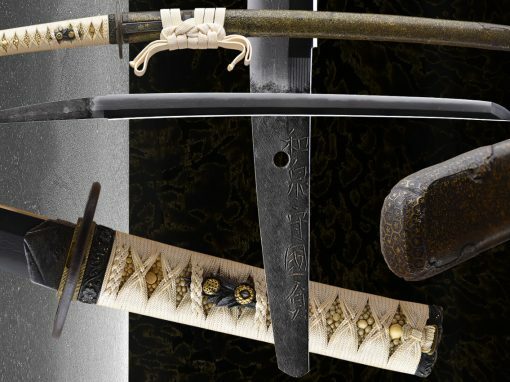 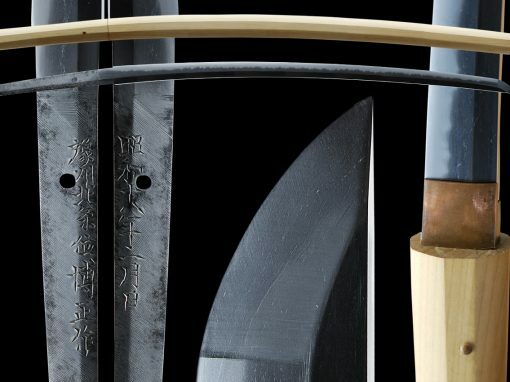 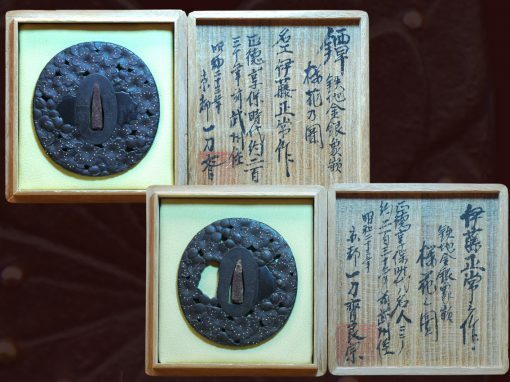 The Bizen tradition of swordsmithing is one of the longest and most successful line of smiths in Japanese Sword history, starting with the smith Tomonari in the 10th century AD. 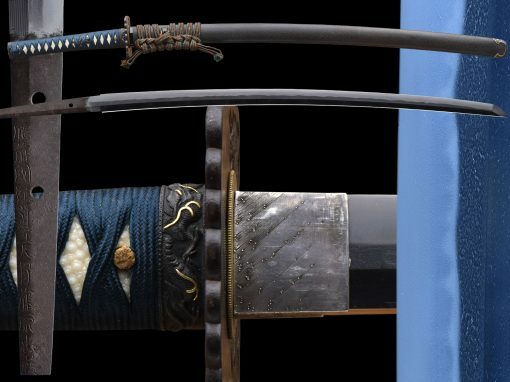 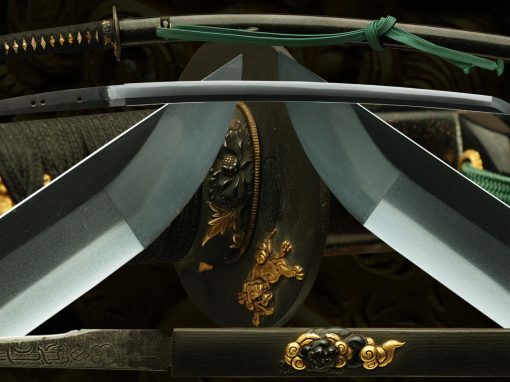 Starting with Tomonari, their were many centuries that saw the development of other schools working in the Bizen tradition such as, Ichimonji, Ko-osafune, Kozori, Osafune, Yoshii, Omiya, Sukesada, and the school of this sword, Yokoyama. 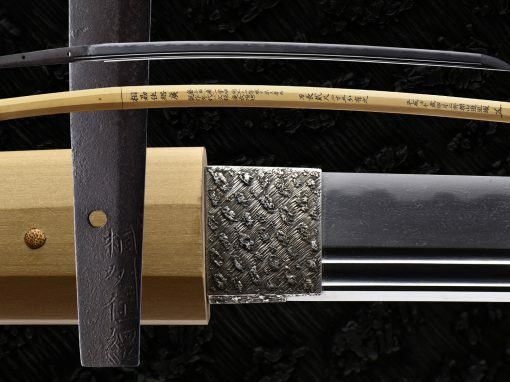 In the Shinto era the Yokoyama Sukesada line of smiths took root, keeping their tradition after the Great flood of the Yoshii river and the multitude of wars to follow. 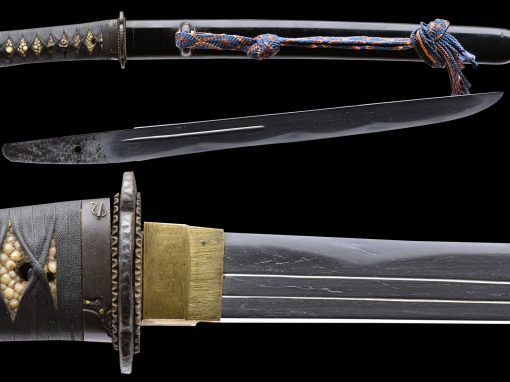 SUKEMITSU (祐光), Ansei (安政, 1854-1860), Hitachi – “Suifu ni oite Yokoyama Sukemitsu saku” (於水府横山祐光作), “Mito-jū Sukemitsu kore o tsukuru” (水戸住祐光造之), “Suifu-jū Yokoyama Fujiwara Sukemitsu saku” (水府住横山藤原祐光作), real name Yokoyama Kajūrō (横山嘉十郎, the first name can also read Yoshijūrō), he is also listed with the first name Kijūrō (喜十郎), he was born in the third year of Bunsei (文政, 1820) as third son of a certain Taguchi Gon´emon (田口権右衛門) in Edo, there he studied under a not further specified Yokoya smith and was allowed the use the family name Yokoyama (横山), in the second year of Kaei (嘉永, 1849) he was employed by the Mito fief (水戸藩) by recommendation of Norikatsu (徳勝) and received a stipend for the support of seven persons, he died on the 13th day of the seventh month Meiji six (明治, 1873) in his house in Mito´s Hachiman (八幡) at the age of 54. 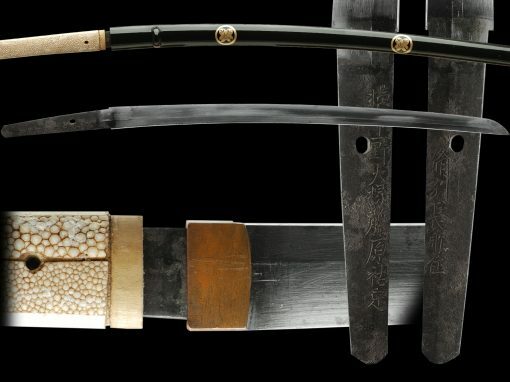 His hamon was in suguha, gunome-midare and is achūjō-saku level smith. 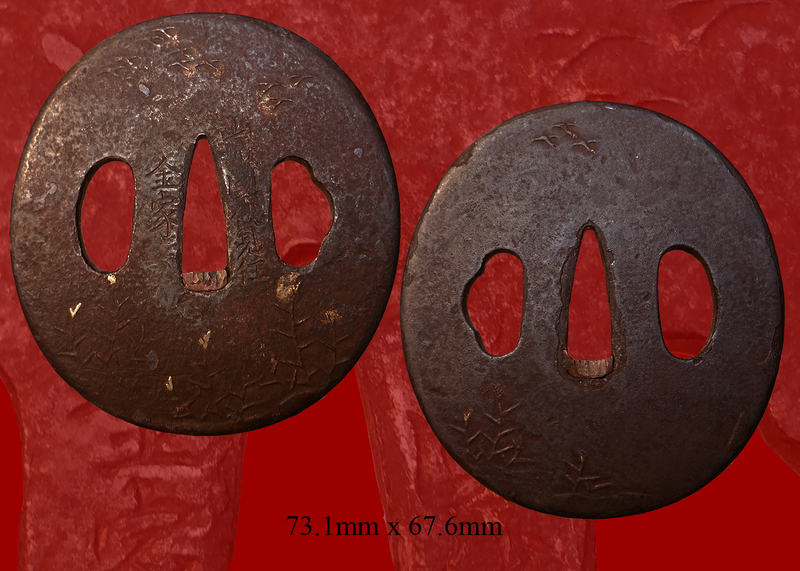 Email us if your interested in this item and remember to include the order number for this item: fss-730.